Lately I've been trying to get as much nourishment as possible; freelancing has me on the go all day long. Especially right now, working full time, plus freelancing and events; I leave the house at 9am and often don't return until 8pm or later. Rather than rely on fast food I've started taking vitamins in the mornings and opting for juices and smoothies throughout the day instead of unhealthy options. 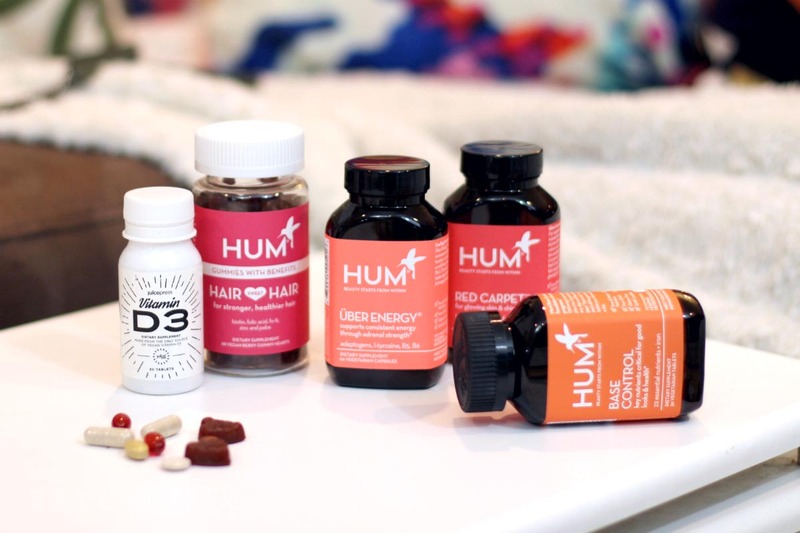 For vitamins, I'm obsessed with HUM Nutrition. On especially busy mornings I stir a scoop of their Tahitian Vanilla Raw Beauty powder into a cup of milk. This powdered drink supplement is the ultimate beauty snack. With 39 beauty detox superfoods, this supplement boosts energy and metabolism while supporting radiant skin. Each morning I take their Base Control supplement, (a great option for a daily multivitamin) and the Uber Energy supplement. I've noticed a nice little boost in my energy level throughout the day, especially in the mornings. For skincare, they make two targeted supplements that I love; Red Carpet, for glowing skin and shiny hair, or Hair Sweet Hair, their newest gummy vitamin with biotin, folic acid, and zinc (available exclusively at Sephora). In the winter and early Spring I also like to take a Vitamin D supplement, Juice Press makes a great one that was an absolute game changer this winter. When I'm out and about in the Back Bay, Juice Press has been a god send. I can stop in for a green juice, a protein shake, or one of their many whole, vegan, soup or snack options. My go-to order is a Vanilla Protein smoothie with Coffee Bean, but I also love their Love Me! green juice and FireBall shots. 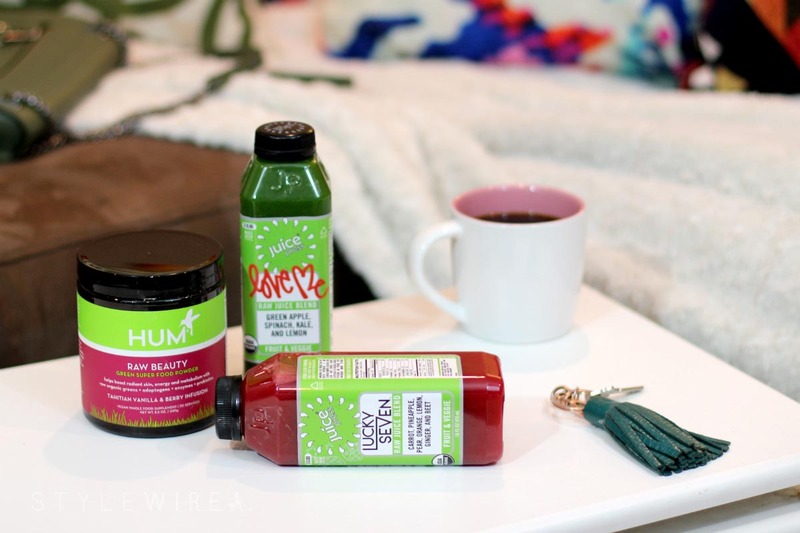 It's really not easy to stay healthy working such long hours and being on the go as much as I am, but I'm thankful for brands like HUM Nutrition and Juice Press that make it that much easier for me! I was provided complimentary samples of HUM Nutrition Supplements and Juice Press supplements. All content and opinions expressed are my own.